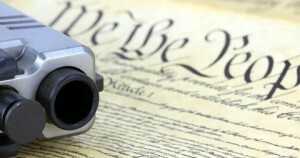 'CONSTITUTIONAL CARRY' VS. 'CONCEALED CARRY'-IT IS OUR RIGHT! ‘CONSTITUTIONAL CARRY’ VS. ‘CONCEALED CARRY’-IT IS OUR RIGHT! Because Mrs. Filippidis told a different story than her husband, the officer said he had probable cause to search the vehicle. And he did just that. He called for backup, and they literally took the vehicle apart in an effort to find the weapon the Mr. Filippidis left in his safe back at home in Florida. It is only if and when you commit a crime with a weapon present and in some way related to the offense that the government gains the ability to intervene in your personal decision to not be a victim and protect both yourself and others near you, most-particularly your family.